As the movement in solidarity with Gaza continues to build momentum, opponents of the Palestinian people have attacked some of the leading voices of the struggle against Israeli aggression. 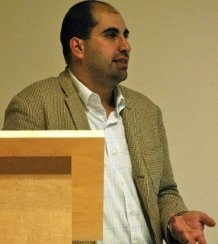 Dr. Steven Salaita was fired from his position at the University of Illinois at Urbana-Champaign. Progressive organizations and individuals across the country are demanding that he be reinstated immediately. Below is an open letter from the ANSWER Coalition. The ANSWER Coalition is outraged at the firing of Dr. Steven Salaita, a Palestinian-American Professor, from his position at the University of Illinois at Urbana-Champaign. This is a clear act of political retaliation for Dr. Salaita’s advocacy for the Palestinian people during this latest Israeli massacre in Gaza. The administration at UIUC has clearly committed a serious violation of the right of faculty members to free expression. The war crimes committed in Gaza by the Israeli government shocks the conscience. Schools, hospitals, playgrounds and other civilian infrastructure has been deliberately targeted to terrorize the population and deny the Palestinian people the right to self-determination. This has prompted outrage across the world, including in Bolivia, which declared Israel to be a terrorist state. Dr. Salaita’s important academic work and advocacy for justice deserves protection, not persecution. We join with thousands of individuals and organizations across the country and world in demanding his immediate reinstatement. From the U.S. Palestinian Community Network: Protest the firing of Steven Salaita by calling or sending an email to the office of Chancellor Wise: (217) 333-8819, chancellor@illinois.edu and pmwise@illinois.edu. Please also copy Robert Warrior, chair of the Department of American Indian Studies (which has supported Salaita's hiring) and the Department itself on your letter: Robert Warrior, rwarrior@illinois.edu - American Indian Studies, ais@illinois.edu. The department must know that Professor Salaita has support!